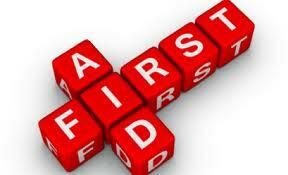 Is Your First Aid Upto Date? On Monday night I completed a St John’s Senior First Aid Course which ran over two weeks on Monday nights from 6pm till 10pm. It has been something I have been meaning to do for a long time – since the last First Aid Course I did was 7 years ago – before kids! I decided to finally go for two reasons and part of the reason why I am writing this blog is to make more people aware of how important learning First Aid is. The first reason was that since going back to teaching I am required to have a current First Aid Training, but the weeks have been flying by and something had always seemed to come up. But what really gave me the push was a tragic event that happened to a gorgeous family from school ( they are happy for me to share their story). They were driving down south for the weekend and before they left she gave her three beautiful girls 2 minute noodles which they ate in the car as they were driving. 30 mins into the trip, she turned around to the back seat and saw that her youngest child (Layla’s best friend) was unconscious in her car seat. They pulled over on the freeway, got her out of the car and she was not breathing. Her amazing husband performed First Aid while she called for help. What he discovered when checking her airways was that she had a full blockage from the noodles she had been eating and she had choked and stopped breathing. Thankfully he managed to remove the blockage and give her CPR and everything was okay. She is fine now and is happily playing alongside her friends, but we all count her blessings. I can only imagine how this tragic incident has impacted their family – even just the thought of how it could have ended. It was definitely the wakeup call I needed to get onto booking that First Aid Course. The mum of the daughter in the above story ( and another mum from school) joined me in doing this course and although it was two long nights – at least I may now be able to save someone’s life! That must have been hard for them to do, but so essential. Well done on the first aid qualification. In many ways I wish teachers here all needed one, but we don’t. Oh it was hard for them. But they hope sharing their story will encourage others to go and do their First Aid. I cant believe that teachers there are not required to have First Aid training- scary really!